Geocel GC23200; Proflex RV Crystal Clear Quart. 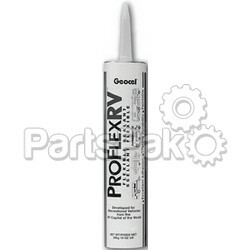 Geocel GC28101; Proflex RV White 10Oz. Geocel KS008400001; Kool Seal Sealant 11Oz Cart.